Founded by Romans around the only naturally-occurring hot springs in the United Kingdom, Bath is one of the most beautiful cities in the UK, and has been declared a World Heritage Site by UNESCO. Much of the architecture of Bath dates from the 18th century, and the city is famous for its many fine examples of Georgian architecture, most notably the Royal Crescent. Nowadays it is a fashionable spa resort. The waters from its spring are believed to be a cure for many afflictions and to ease rheumatism. The city of Cambridge is a unique community, a blend of cultural and social diversity, intellectual vitality and technological innovation. 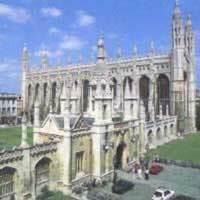 Cambridge is best known for the University of Cambridge. Cambridge University played a unique role in the invention of modern football as the game's first set of rules were drawn up by members of the university in 1848. One of the most impressive buildings in Cambridge, King's College Chapel, begun in 1446 by King Henry VI. The former ecclesiastical capital of England, Canterbury has witnessed major events in English history, including Bloody Mary's order to burn nearly 40 victims at the stake, Richard the Lion-Hearted returned this way from crusading, and Charles II passed through on the way to claim his crown. The city is also famous due to the association with the Canterbury Tales, a collection of stories written by Geoffrey Chaucer in the 14th century. Nowadays many tourists come to see the Canterbury Cathedral. Liverpool, with its famous waterfront on the River Mersey, was and still is one of the world's great ports, and was second only to London as the greatest city in an enormous empire that stretched across the world. Today it is a city famous for its football, music scene and nightlife. 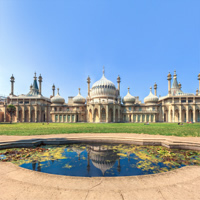 Enjoy the Victorian, Georgian and Neoclassical architecture, visit one of the many museums and galleries. The Victorian Albert Dock is a major tourist attraction, of chic cafes, restaurants and designer shops. The world's first industrialised city, Manchester is now England's second city with a cultural life to rival that of London. The city boasts some of the most interesting galleries and museums in the UK, such as the Museum of Science and Industry, the Whitworth for modern art, the City Art Gallery, the Lowry and the Imperial War Museum North. Manchester is well known for the Manchester City and Manchester United football teams. Don't miss the Lowry Centre, home to two theatres and a permanent Lowry exhibition. Situated about halfway between London and Liverpool, Birmingham is a city of mixed cultures, beliefs and lifestyles and also a fashionable place for business conferences. It has some interesting old buildings such as The Town Hall and the Council House. The City is full of theatres, restaurants and pubs. The cultural life is very rich with many good museums, such as the Birmingham Museum and the Ikon Gallery are worth a visit. The modern Symphony Hall is famed for having the best acoustics in Europe. Its impressive history makes York an important touristic attraction. It is still encircled by its 13th and 14th-century city walls. You can find here important marks left by all remarkable European civilisations - the Romans, the Saxons, the Vikings the Normans – among which the most important are the enclosing city walls and the largest European Gothic cathedral - York Minister. The city is also famous as home of the University of York. Climb the Cliffords tower to enjoy an excellent panorama. Experience more than just show stopping London (with its museums, palaces, parks, world class shopping and palpable energy); you`ll also get to visit charming Stratford-upon-Avon (Shakespeare`s birthplace), York (its impressive history is easily seen in the medieval lanes and Gothic style architecture), Windermere (set picturesquely on England`s most famous Lake) and Manchester (England`s 2nd city full of interesting galleries and museums). Travel via rental car for the ultimate in flexibility. This is a flexible package. Select your number of nights in each city, desired hotel, preferred car and activities. Self-drive packages are a popular way for visitors who want to get off the beaten path and explore on their own terms to get the most out of their vacation! 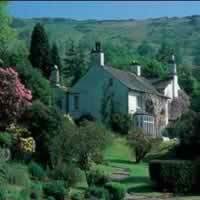 This package introduces you to the charming, and occasionally overlooked, areas of England. These places have histories all their own and a lot to offer, if you know where to look! 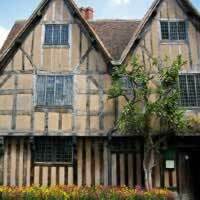 Combine a stay in London with Shakespeare`s birthplace Stratford Upon Avon and Oxford. Return to London for your final night. This is a flexible vacation package. Select your number of nights in each city, desired hotel and activities. 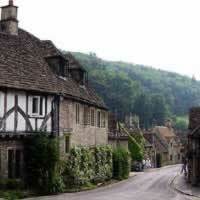 Visit London, Bath, Gloucester, Oxford and Stratford-upon-avon with rent a car. Self-Drive vacation packages are popular for visitors looking to get off the beaten path and explore at their own leisure. 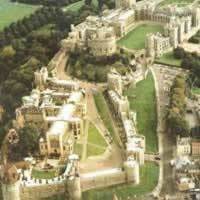 In this package you will visit London, Stratford-upon-Avon, Bath and Brighton with rent a car. This is a flexible vacation package. Select your number of nights in each city, desired hotel and activities. 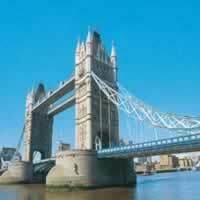 Visit London, Salisbury and Bath with rent a car. Visit London, Bath, Cheltenham and Gloucester with rent a car. Visit London (centuries of history, world-class shopping and achingly cool fashion, arts and food scenes), then continue to Barcelona (Gaudi`s architecture, food, style and so much more) by flight. This is a flexible package. Select your number of nights in each city, desired hotel and activities. 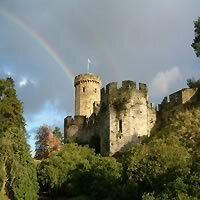 Combine England and Scotland with this distinctive vacation in Europe! London (Royal palaces, formal gardens, exciting museums and world class shopping) and Edinburgh (stunning medieval castles and architecture in a fairytale setting) are sure to delight you and keep you busy moving from one activity to the next! There is so much to see and do, your only rest will be during the short flight between these exciting destinations. This is a flexible vacation package. Select your number of nights in each city, desired hotel and activities. Combine all of the most beautiful and requested destinations across Europe for an unforgettable vacation. 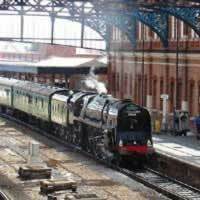 This unique package will combines historic Rome, artistic Florence, charming Venice, Lugano, active Lucerne, romantic Paris and exciting London with the ES, EC, Cisalpino, EC TGV and Eurostar. There is no shortage of art, culture, history or fun to be had! This is a flexible vacation package. Select your number of nights in each city, desired hotel and activities.